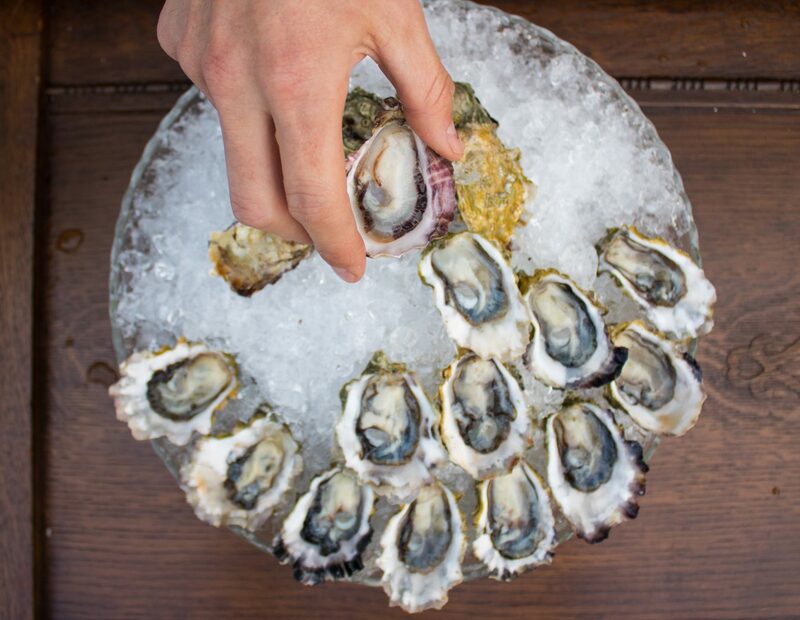 The Curious Oyster Catering Co.
Oysters are for grownups. Genuinely enjoying fresh oysters is a perk of adulthood, or perhaps an initiation into it, like gambling or changing a tire. 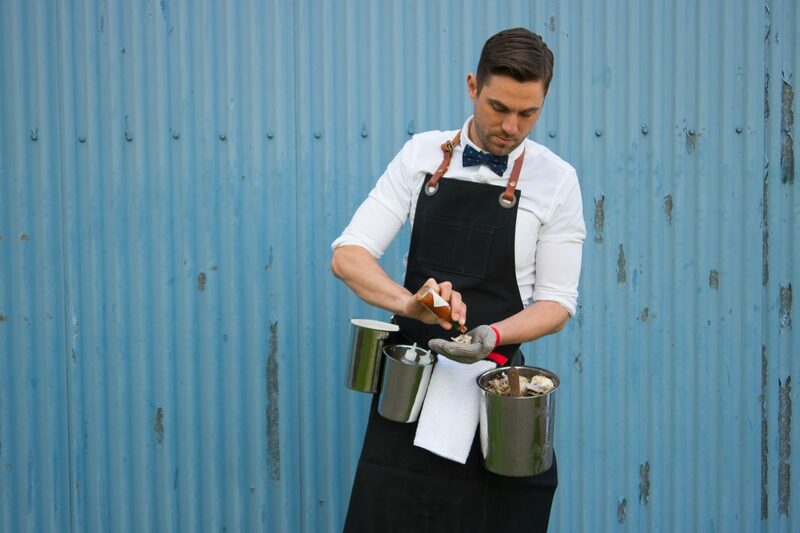 Richard Boucher, founder of The Curious Oyster Catering Co., finds the playfulness in this most mature of food groups—when he caters an event or headlines a pop-up dinner, he and his staff arrive decked out in bow ties, with jaunty serving ware, an array of mignonettes, and a deep knowledge of the briny morsels on offer. Boucher was well into adulthood, if anyone’s twenties count as such, when he tasted his first oyster. With time, benign curiosity turned into a passion. 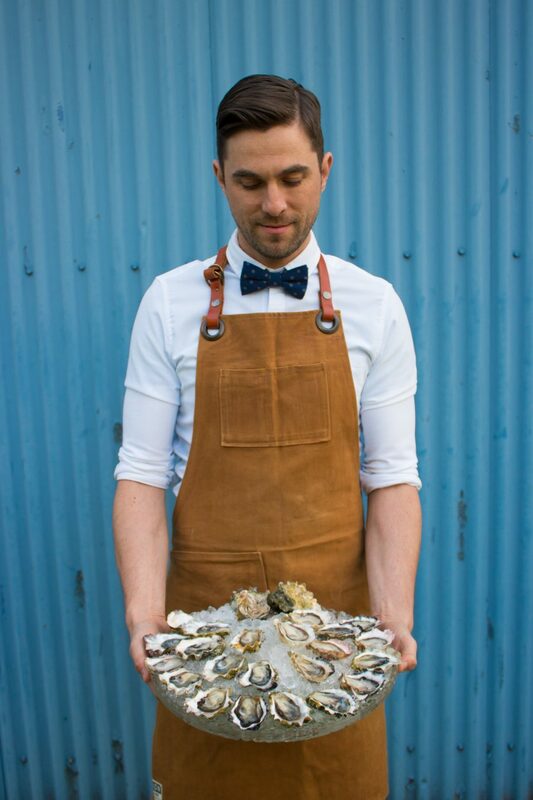 A stint at Ottawa’s Whalesbone Oyster House gave Boucher a solid background in all things oyster-related, knowledge he brought with him to Vancouver when he moved in 2010. 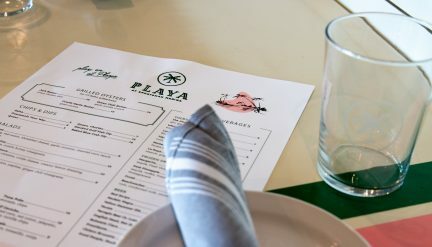 Boucher was surprised at how few restaurants here were dedicated to oysters, given Vancouver’s seaside location and proximity to excellent farms. 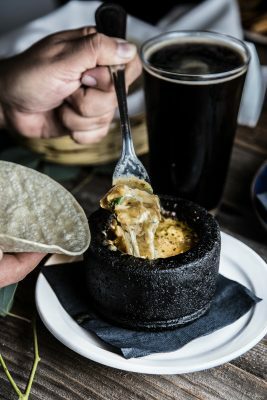 He also noticed another gap in the local culinary scene, this time in the catering market, with many companies reluctant to offer high-maintenance dishes like oysters. 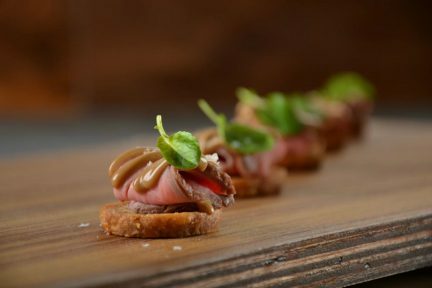 Launching The Curious Oyster Catering Co. was a way to bring his passion for the food to a city perfectly primed to share it. Boucher is adamant that the oysters he serves are Ocean Wise-certified, and he favours Canadian, independent farmers when choosing his products. This concern for both the environmental and social impact of his business means a more considered experience for guests; he will source the best varieties based on everything from the season to the specifics of an event. 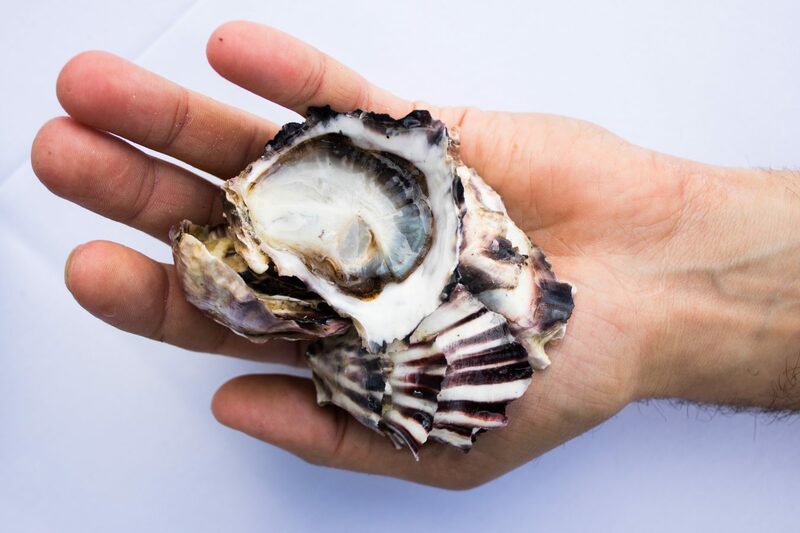 At times, Boucher describes the taste of certain oysters the way a perfumer might describe notes in a fragrance: “sometimes they get a fresh melon taste to them, sometimes cucumber, depending on where they are grown,” he says. 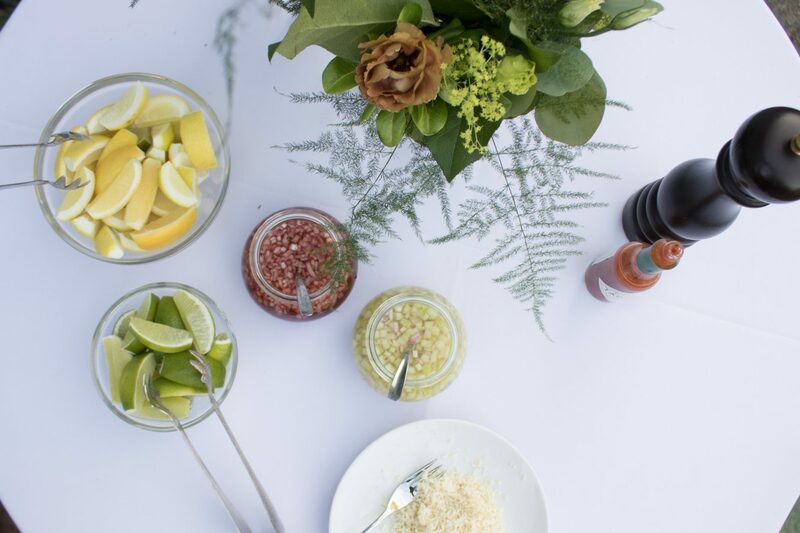 Garnishing is equally restrained—Boucher forgoes the red cocktail sauce that can overwhelm the finer points of an oyster’s flavour and instead offers lemons, limes, a few well-chosen mignonettes, and Tabasco sauce. Perhaps the most precious thing The Curious Oyster Catering Co. has to offer is expertise. Boucher knows how to coax a hesitant guest into trying his or her first oyster, taking the time to select an appropriate specimen and garnish it with a modest squeeze of lemon. He also isn’t afraid to correct the bad habits of seasoned eaters, admonishing this author for not chewing properly (this advice was surprising, having always treated oysters like salty Jell-O shots). 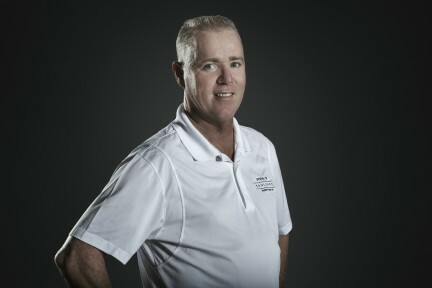 Like all people who have found their niche, Boucher is irrepressible on the topic of his vocation; he can speak to the nuances of each variety, growing techniques, and the finer points of bivalve anatomy. 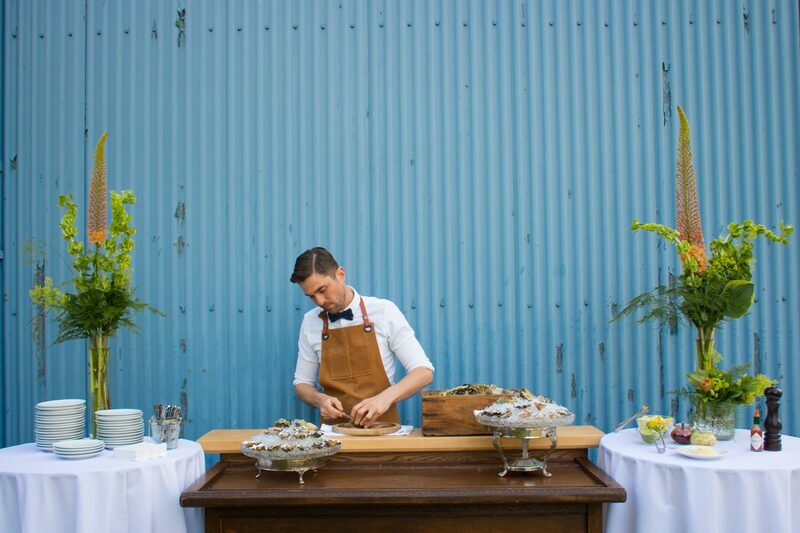 The Curious Oyster Catering Co. is named in reference to The Walrus and The Carpenter, a poem recited in Lewis Carroll’s classic fairytale Alice in Wonderland as a whimsical story within a story. In the animated movie version, a walrus and a carpenter wander the beach and come across a bed of oysters beneath the waves. The walrus convinces the curious animals follow the him out of the sea, despite a warning from an elder oyster. Then, in a hastily constructed seafood restaurant, the walrus devours every last one of his shelled friends (much to the carpenter’s fury). Watching the scene recently, it was hard not to notice that, like the staff of The Curious Oyster, the walrus wears a bow tie.